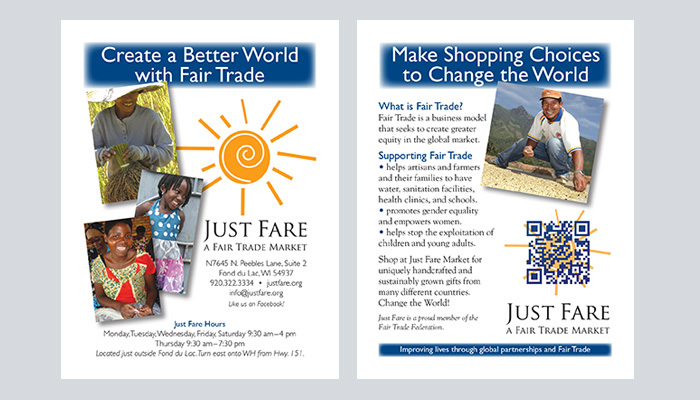 Just Fare Market, a fair trade retail store, uses promotional cards to hand out to customers. The cards serve a purpose in informing the audience about the power of their purchases in supporting fair trade. The visuals provide a connection for the customer with the producer of the goods. 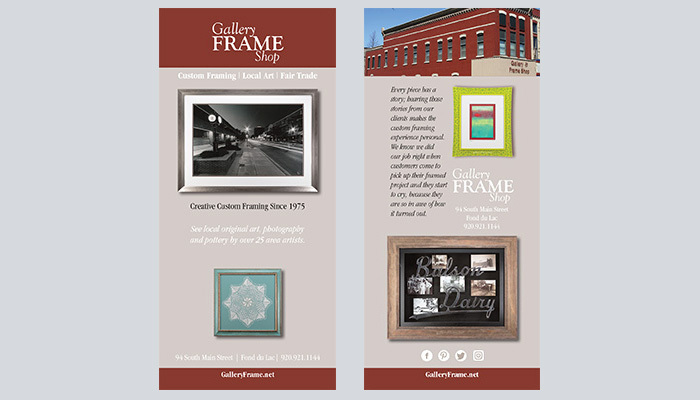 Rack cards are distributed in venues throughout the community and given to potential customers locally, as well as at trade shows and national events. Photography by Brian Kolstad highlights the beautiful, quality work of this local, family-owned business. 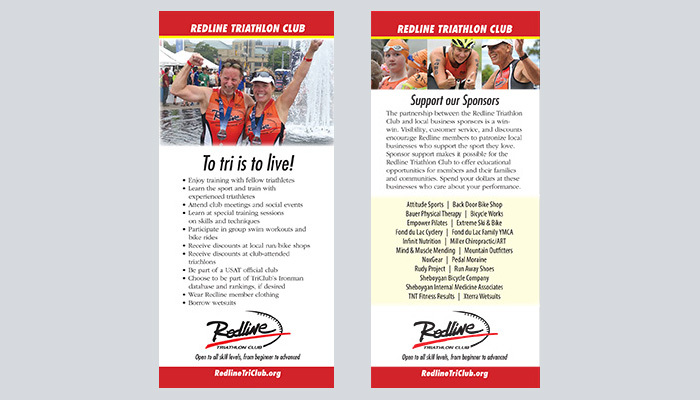 The Redline Triathlon Club needed a rack card to initiate interest in joining the organization. Dynamic photos, bright colors, informative copy, and the list of sponsors are key elements. The card is distributed via racks at the club sponsors’ businesses and organizations that promote a healthy lifestyle. 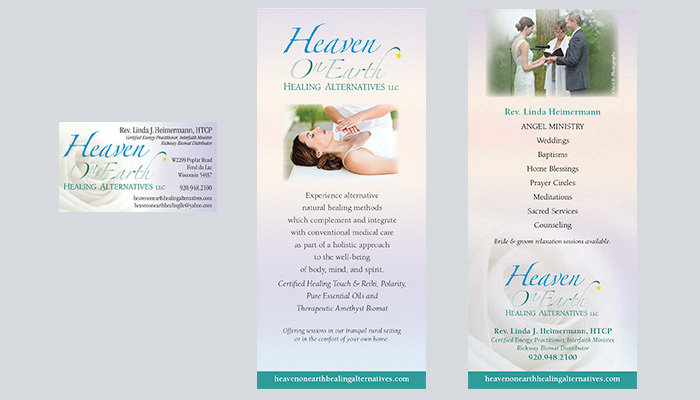 Heaven on Earth needed a card for distribution at health fairs. The brand we established in the logo design is implemented throughout this piece, including a color palette to invoke feelings of peace and relaxation.